Areva SA, a French vendor of nuclear power plant equipment–one of the largest and most prominent in the world–has been found to be producing defective items–really major items!– and falsifying quality control paperwork. This means that reactors may be running in dangerously unsafe condition. French regulators appear to be acting, but US regulators are not. The Wall Street Journal reported on October 18, 2016, that 18 French reactors are, or have been, shut down for testing of potentially defective parts. “Proprietary reasons?” The NRC could hardly be stating more directly that its priorities are protecting the nuke industry, not protecting the people and the planet FROM the nuke industry. “Is there any reason to think that the documentation of Areva items in service in the US has more integrity than the documentation of items used domestically in France? Minnesota: A wholly owned subsidiary of Xcel Energy? 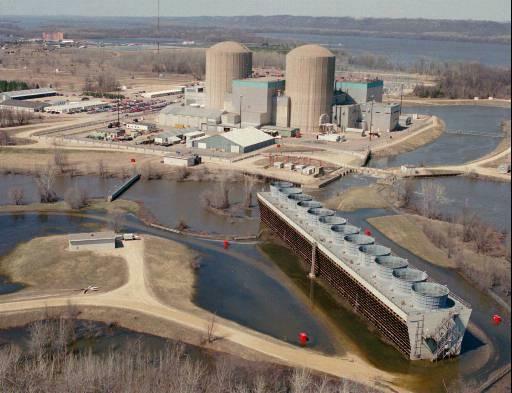 Are Xcel’s Prairie Island nukes operating with dangerously defective Areva-made parts? Given the lack of due diligence by the NRC it is hard to know, but a strong possibility seems to exist. The response from the NRC is the worst I can recall in 30 years of occasional interactions. Perhaps it is to be expected with the Trumpers taking over the federal government. In truth there is no reason for the Prairie Island reactors to be running at all: They vacuum marine life out of the River, they vacuum billions out of ratepayers’ wallets, the spent nuclear waste just keeps on piling up, and they most certainly are not “carbon free.” Utility revenues should be redirected to investment on the “demand side” (conservation and efficiency) and in lower cost, lower carbon sources such as wind and solar–at more than token levels. The Minnesota Legislature will hold its first “floor sessions” on January 3rd. There are a fair number of new faces after the elections. If they don’t hear from constituents (you!) many will just do what the fat-cat lobbyists tell them to do. Do you know who your state Senator and Representative are? Find out. Find out their emails and phone numbers. Contact them about your concerns! Who really runs the Minnesota Legislature?